​Everton manager Marco Silva admitted his side weren't aggressive enough during ​their 2-1 defeat to Southampton. A James Ward-Prowse long range strike and Lucas Digne own goal in the second half were enough to inflict Everton's sixth defeat in their last ten Premier League games, with Gylfi Sigurdsson's strike in added time little more than consolation for the visitors. 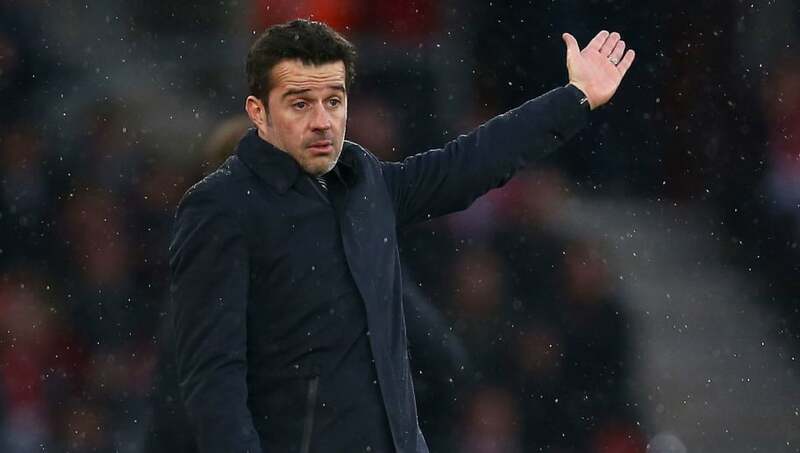 In a game in which the Toffees were second best for large portions, Silva conceded that his side deserved to lose come full-time. Speaking post-match, as quoted by ​Sky Sports, he said: "To be honest they deserved the three points. "They scored a fantastic goal when we started the second half better. We had a big chance before them in the second half, but they deserved it because they were more aggressive during the match. "When something that happens like that and you're playing against teams that are fighting to really get out of the danger zone, we have to put in the same levels of aggression as them. "After that comes the quality above because, in that moment, we can show quality but before we have to be as aggressive as them and we didn't do that this afternoon." The loss at St. Mary's sees ​Evert​on drop one place to 11th in the ​Premier League, as they now turn their attention to their FA Cup fourth round tie against Millwall in a week's time, before returning to Premier League action days later when they play Huddersfield. Defeat against the south coast side also meant Everton passed up the opportunity to record back-to-back Premier League wins for the first time since October, as Silva now challenges his side to produce more consistent performances if they wish to finish in the top half of the table. He added: "The Premier League is really tough. It's not new for us this season. We achieved a good run and we are trying to do the same [again]. Now the points will be more difficult to get because the other clubs are fighting really hard and we want to do the same."